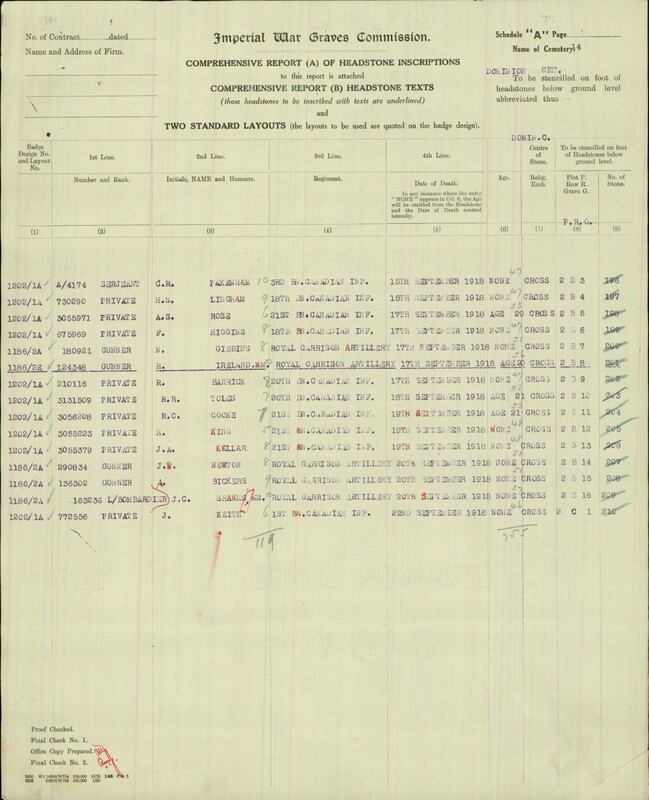 Private Frank Higgins, 18th Battalion, C.E.F. Great, Great Grandfather to James Buchanan. Daily Sentinel-Review. September 27, 1918. Page 1. 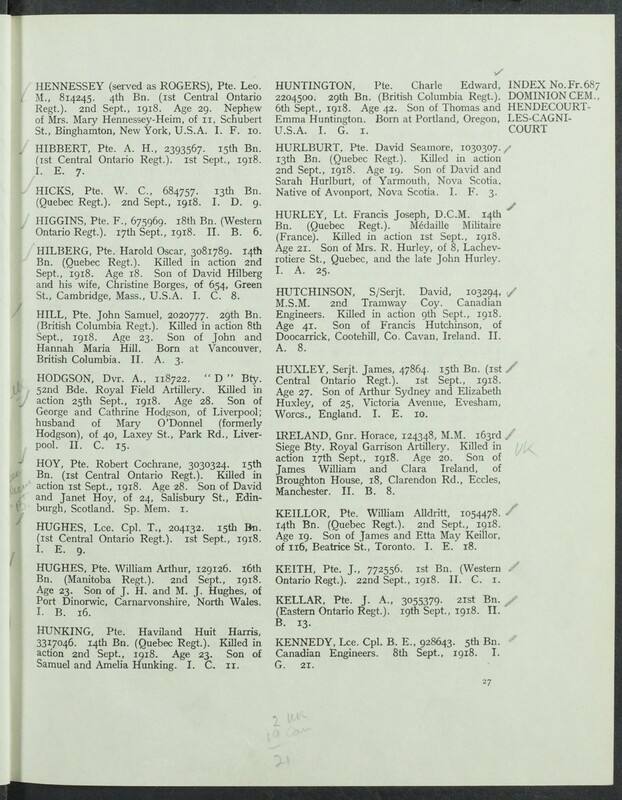 Another Embro soldier who has also paid the supreme sacrifice, is Pte. Frank Higgins, who succumbed to gunshot wounds in the back. 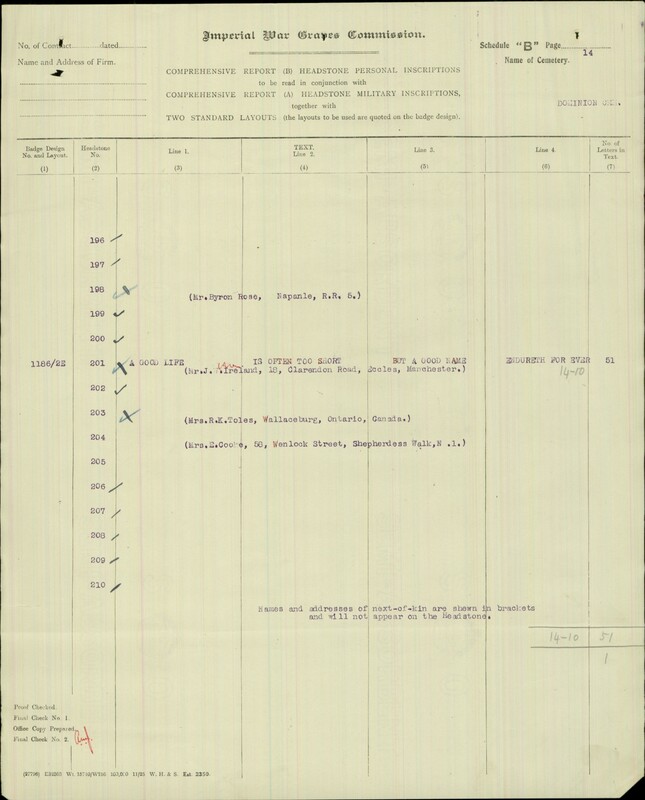 He enlisted with the 168th Battalion and had previously worked in the farm of Geo. Whittaker, near Bennington, having come out to this country from Manchester, England, some eight years ago. He had lived in Embro three years. He is survived by his wife, three daughters, Nora, Dora and Tama, who live in Embro. and three sons, Herbert, Vincent and Wilfred. 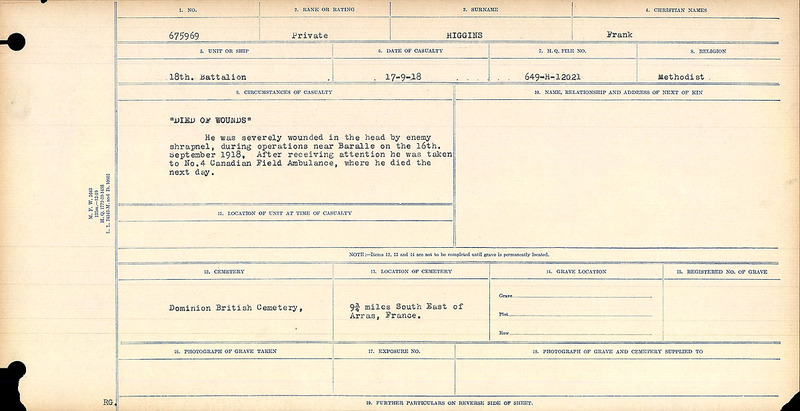 “DIED OF WOUNDS” He was severely wounded in the head by enemy shrapnel, during operations near Baralle on the 16th, September, 1918. After receiving attention he was taken to No. 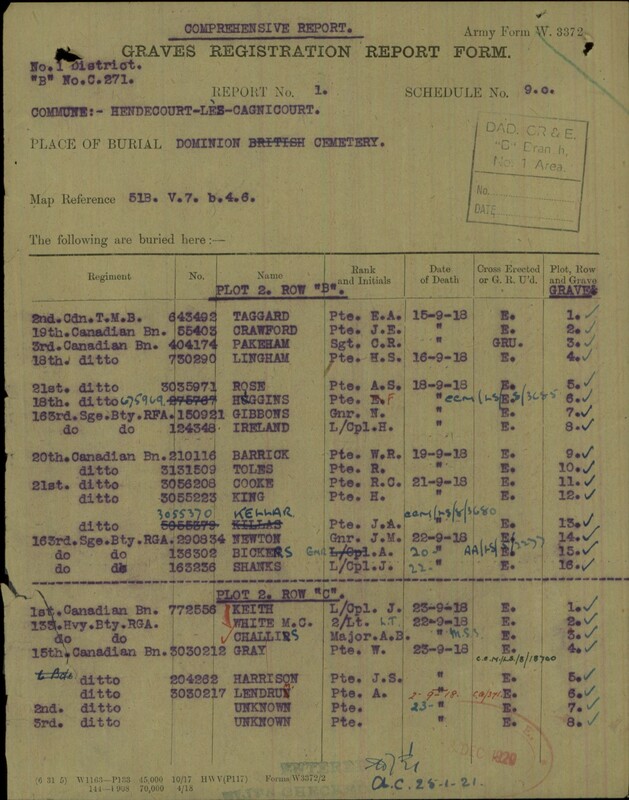 4 Canadian Field Ambulance, where he died the next day.